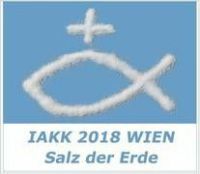 The next International Old Catholic Congress will take place from 20th to 23rd September 2018 in the Austrian capital, Vienna; this time meeting under the heading "Salt of the Earth: Christians in dialogue for an open society ". The Congress will be looking at the following key questions: Where does our vision for a better quality of life for the world overlap, and where does it differ? In our joint responsibility to share in shaping the future, what action do we plan to take? There will also be various discussion groups and workshops, where participants can grapple with issues, such as, social justice, a fairer economy, the sustainable use of ecological resources, or overcoming our fears in a rapidly changing world. And, of course, there will be an opportunity to see something of the city of Vienna and learn about the Old Catholic Church in the Austrian capital. The Congress fee, without accommodation and travel, is €160. For those requiring overnight accommodation, the Congress website ( Altkatholikenkongress 2018) will provide a list of links to hotels where a block-booking of rooms has been reserved for the Congress. The International Old Catholic Congress is held every four years in a different country of the Union of Utrecht. In character, the Congress is like an international version of an Old Catholic parish church convention.